Welcome to the magic world of the lesiba – a mouthbow that is blown rather than struck or plucked, an ancient Khoi instrument that survives only in Lesotho today and performed on this disc by its best players. Music of the ancestors, music of birds and mountains. Another herdsman's instrument on this album, the sekhankula, is made from junk metal and played with a horsehair bow – equally fascinating and beautiful music. Total time: 67'31". 24 page booklet. Tracklist: 1. ’Mangoanana, by Moshesha Hlomelang, 2. Ea lla Koekoe, by Moshesha Hlomelang, 3. Khabulubulu, by Moshesha Hlomelang, 4. Ntate Lekhotleng, by Mphahama Moleli, 5. Ntate Ea Nko E Mpe, by Mphahama Moleli, 6. Tselane Ngoanak’e Nka Lipompong, by Mphahama Moleli, 7. Whistling, by Molahlehi Matima, 8. Mampampa, by Molahlehi Matima, 9. Tselane Ngoanak’e, by Molahlehi Matima, 10. Pina Ea Limpho, by Limpho Metsing, 11. Limpho Talks, by Limpho Metsing, 12. La Theosa, by Limpho Metsing, 13. Mocholoko Satane, by Motsoetla Letsie, 14. Ke lula Fats’e, by Samuel Tolosi, 15. A Tla Le Otla Masole, by Mojela, 16. Oa Nthahele Mohlolo, by Lebohang Serine, 17. Ha Liba Je Ntja Tsa Ntate Lekhaba, by the Mahloane Trio, 18. Mohoula, by Chibase Mkoeanasi, 19. Koaleng Mamati, by Nomo Lesole, 20. Ntate Selati, by Sehloho Lebusa, 21. Ntate Nkuebe Baleha Lehanya, by Sehloho Lebusa, 22. Phakoe Setheng, by Sello Mothibeli, 23. Pina Ea Sello, by Sello Mothibeli, 24. Nonyana, by Sello Mothibeli, 25. Pina Ea Samuel, by Samuel Tolosi, 26. Ke A Lekhalemela Le Lona Bacha, by the Mahloane Trio, 27. Bana Ba Batho, by Chibase Mkoeanasi, 28. Ntate Baleha Lehlanya, by Moshesha Hlomelang, 29. Mamasianoke, by Moshesha Hlomelang. The Wire 2007 (GB): "An album of profoundly unusual, bewitching music, this collection of recordings boasts plenty of extremely evocative, tonally beautiful music from the lesiba and the sekhankula." fRoots 2007 (GB): "Lots of variety, priviledged insights into a distant culture, and endlessly fascinating sounds. It comes as a surprise that some of the musicians are still young - everything sounds so timeless, rooted in tradition." Global Rhythm 2007 (USA): "Ultimately, this is a disc which only reveals itself after a few listens; however, the reward of hearing unique and little-known southern African folk music makes it well worthwhile." De Volkskrant 2007 (NL): "Onwaarschijnlijke klanken uit twee muziekbogen uit Lesotho. Spectaculair." 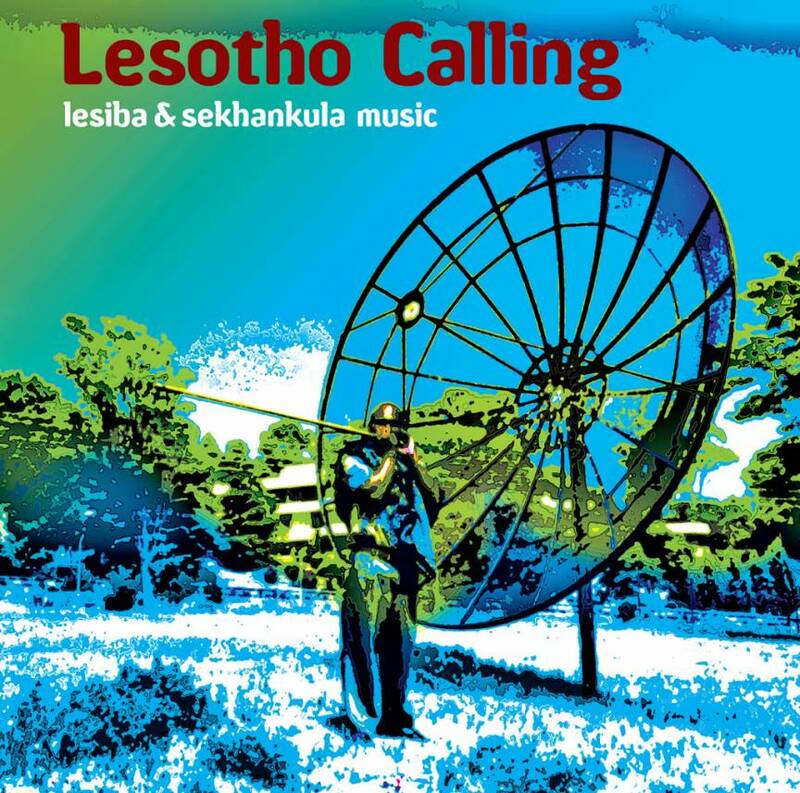 "Unbelievable sounds from two musical bows from Lesotho. Spectacular."